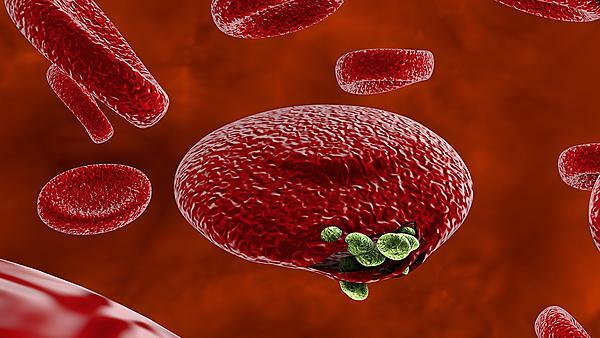 New research co-authored by a University of Plymouth academic has uncovered how some people with malaria develop antibodies against the disease – highlighting a possible basis for a future vaccine. Affecting more than 300 million people in Africa each year, the deadly infectious disease is caused by a parasite that lives inside humans and mosquitoes, and spreads efficiently in the human population via the insect’s blood meals. Some people produce antibodies when infected, developing an immune response that stops them from infecting other mosquitoes. Now the new research, led by Radboud University Medical Centre and the London School of Hygiene & Tropical Medicine, found that 1 in 25 malaria patients prevent the disease from spreading by developing these antibodies – which are sucked up by the mosquito and destroy the malaria parasite in the mosquito's stomach. Researchers also unravelled the defence proteins responsible – including two well-known proteins (Pfs48/45 and Pfs230) that are involved in the parasite’s fertilization process – and these could be used to make a vaccine. Dr Edwin Lasonder, from the School of Biomedical Sciences at the University of Plymouth, was part of the research team and contributed to the design of the protein chip, thanks to his expertise in proteomics. The chip was composed of 315 sexual stage proteins that were identified by the acquisition and analysis of mass spectrometry data from the parasite. Blood samples were screened with this chip for the identification of proteins generating an immune response with antibodies that prevent spreading malaria. This study investigated blood samples from 648 individuals exposed to malaria in African countries, looking for the presence of antibodies against specific proteins from the sexual life cycle stages (male and female parasite forms) that reduce transmission activity (parasite infection of mosquitoes). The transmission-reducing activity (TRA) of these antibodies was determined using lab-based mosquito-feeding assays for all proteins involved in sexual development of the parasite using a protein chip. The study identified up to 45 proteins capable of generating an immune response in malaria-infected individuals with antibodies that significantly reduce mosquito infections. See further article on the research in Science Daily. The full study is published in Nature Communications and entitled Unravelling the immune signature of Plasmodium falciparum transmission-reducing immunity (doi: 10.1038/s41467-017-02646-2). It was led by the London School of Hygiene & Tropical Medicine and Radboud University Medical Centre, The Netherlands, with collaboration from: Antigen Discovery Inc, California; Institute for Disease Modelling, Washington; University of Montpellier, France; Institute of Health Science Research, Burkina Faso; University of Douala, Cameroon; University of Plymouth; University of Turin; Leiden University Medical Centre, The Netherlands; Statens Serum Institute, Denmark; University of California Irvine; and Harvard School of Public Health.